Is there really a God out there, or is it something that human created so we could have something or someone to fear in cases where we go wrong? Did gods create humanity or did humans create gods? Human interest in the origin of humankind has been documented throughout the recorded history. Did some divine power create the first couple? Religious scriptures the world over aver that one or the other god gave birth to humans, but science has not yet identified any supernatural power that created and governed human beings. Did primeval humans come up with the idea of gods to help them cope with their fears? Could it be that they attributed natural phenomena — unfathomable and frightening to them — to the working of invisible gods? The Evolution of Gods uses modern science to explain why, when and how religions and gods became the desirable explanations of the inexplicable events. It describes anthropological and historical facts about the evolution of religions and gods, in a simple and straightforward manner, to assert that human imagination created gods, and not the other way around. The book begins with the epoch when the human race came into being, between 400,000 and 200,000 years ago. Around 100,000 years ago, humans invented language and began to discuss and analyze each happening around them. Whatever they could not comprehend, their priest attributed to some unseen power. At one point in time, we do not know exactly when it happened, humankind began an activity called worship. Humans began to worship each seen or unseen power, which was beyond their control, but could either harm or help them. They believed that worship protected them and sought the blessings of that power. Priests all over the world invented almost identical methods of worship, such as folding their hands, bowing, kneeling, flower offering, prayers and sacrifices. For example, anthropologists have drawn that ancient humans had largely inadequate protection against cold; their survival largely deepened upon available sunlight—something beyond their control. In that scenario, solar worship was a logical outcome. In a similar manner, the humans found thunder and lightning inexplicable and frightening. Gradually, they began to worship the sky as god. There is enough historical evidence to assert that the ancestors of Hindus, Buddhists, Jews, Christians and Muslims, before their religions came into practice, worshipped the sun and the sky. Thus, history demonstrates that whenever humankind faced a new challenge, priests invented a more useful deity and consigned the older one to oblivion. For example, around three thousand years ago, cultivation provided several facilities to humans that paved the way for a population explosion. At the same time, farming exposed people to pets, rodents, mosquitoes, houseflies and parasites. All these factors together gave rise to altogether new diseases such as cholera, tuberculosis, typhoid and plague. Apart from these diseases, population explosion also gave rise to social diseases such as poverty, inequality, injustice, crime and exploitation. All these together forced people to lead a miserable life no better than hell. Around this time, a few geniuses such as the Buddha, Moses and Jesus discovered the causes and remedies of human sufferings. For example, Moses suggested ten morals, sacrifices and prayers to protect people from their miseries. The contemporary priests transcribed prayers, rituals, myths, allegories and morals preached by these prophets after their death. The Holy Scriptures, such as the Vedas and the Bible were the compilations of such writings. These books advised worship, sacrifices, magic or morals to eradicate human miseries. The Suffering masses had no option but to follow those advice. These scriptures fashioned the organized religions of today. Let us think for a moment why there are many religions and there is only one science on the Earth. There is one concrete reason behind this irony; about one thing or concept there is only one truth but there can be many lies. This book is an effort to light a candle in the darkest corner of human consciousness. 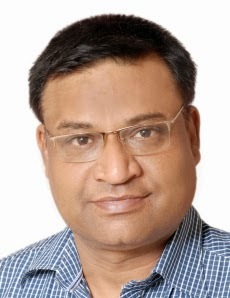 Ajay Kansal is a professor and consultant pathologist. It was during his medical practice that he encountered human suffering in a big way that made him question the concept of Gods and drove him to write this book. 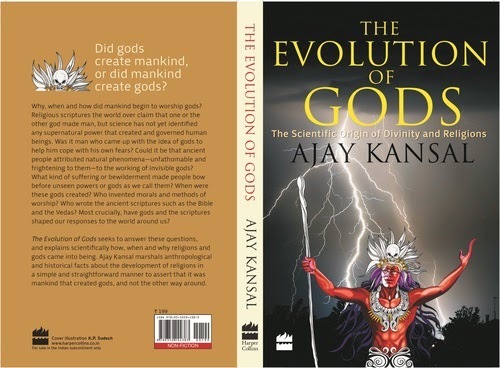 The Evolution of Gods is his first book and the only book written by an Indian author on the concept of the existence of God which talks of all religions and is not based on any one particular form of it. His next work is a romance which is currently in progress. 5 ecopies of the book The Evolution of Gods up for grabs. Open INT. 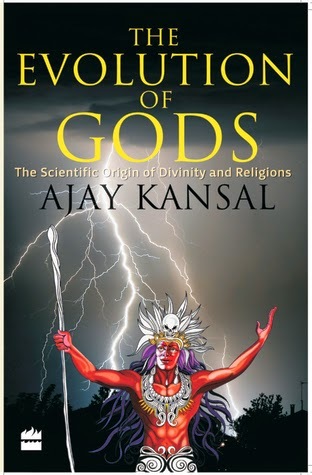 5 Paperback copies of the book The Evolution of Gods up for grabs. Open to India only. 10 copies of the book The Evolution of Gods up for grabs on Goodreads.